Get moving! Listen to the instantly-pummelling new track “Break The Trend” here! There are plenty of new, independent artists out there trying their hardest match the success of rock and metal’s big dogs without the massive industry machine behind them. 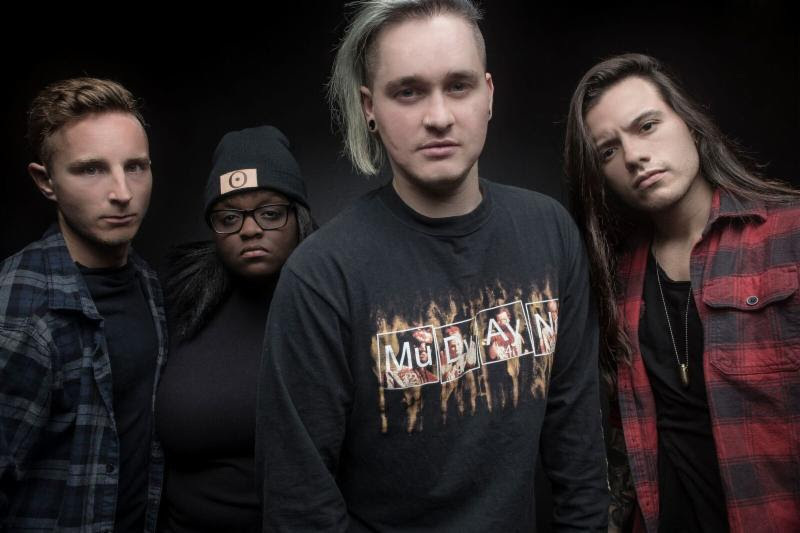 One listen and it’s clear – none have charged out the gate with the raw talent, promotional expertise and fan following that Atlanta-based modern melodic metal group TETRARCH have proven to command since forming a few years ago. When listening to TETRARCH for the first time, it’s easy to believe you’re jamming out one of our generation’s highest-charting, top-selling rock artists. In reality, you’re witnessing one of rock and metal’s most promising, hard-working rising stars. TETRARCH exude “what it takes” and are undoubtedly on the fast-track to greatness. Lead by the multi-faceted, sing-along-worthy vocals of frontman Josh Fore and the searing guitar leads of groundbreaking “guitaress” Diamond Rowe, TETRARCH is rounded out by the powerful bass of Ryan Lermer and relentless drums of Ruben Limas. TETRARCH‘s new album showcases their commanding blend of intense metalcore riffage and driving drums with the dark vibes and haunting choruses of top-charting modern hard rock. The band’s clear influences – ranging from bands like heavy metal giants Slipknot and Trivium to hard rock darlings Mudvayne and Linkin Park – are evident and give TETRARCH the leg up on the competition. Their sound is crushing enough to fit on any heavy metal bill, but catchy enough to land confidently in commercial radio rotation. Stay tuned for more details including album title, track listing, art, production credits, pre-orders and more media coming soon in anticipation of TETRARCH‘s new album. 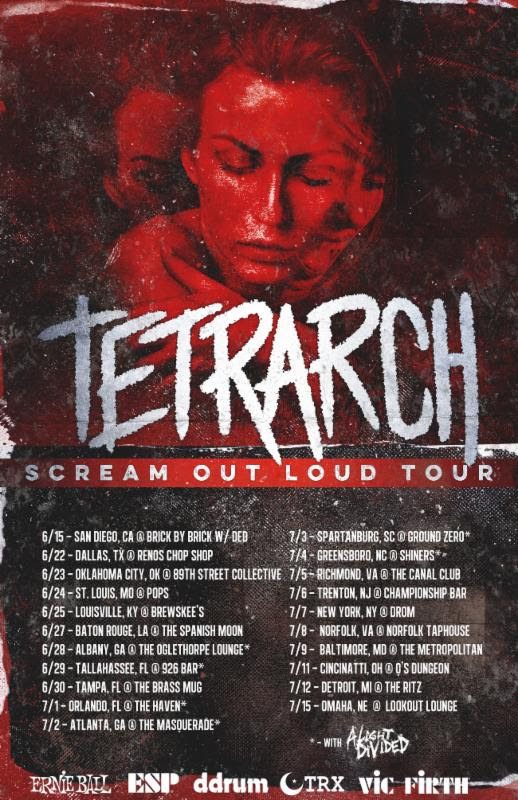 Don’t miss TETRARCH on their upcoming U.S. headline tour – the “Scream Out Loud” tour – visiting 20+ cities this June and July with more TBA. The band will perform several favorites as well as brand new music! See below for a full listing of dates and get your tickets via local venues.